Legendary independent record label Sub Pop will turn 30 years old this year, and Seattle-based public broadcaster and arts organization KEXP will pay tribute to the label with a four-month retrospective. With over 1,200 releases, the station is planning to honor every single catalog number in the history of the Seattle based label. The tribute will wrap up in time for Sub Pop’s 30th anniversary concert at Alki Beach in West Seattle this August. Sub Pop co-founders Bruce Pavitt and Jonathan Poneman each had a show on KEXP’s predecessor, KCMU, prior to the formation of the label. Pavitt’s show - Sub Pop USA - focused on celebrating artists and releases on independent regional labels, while Poneman was one of the first hosts of Audioasis, the local music program that still airs weekly on KEXP. 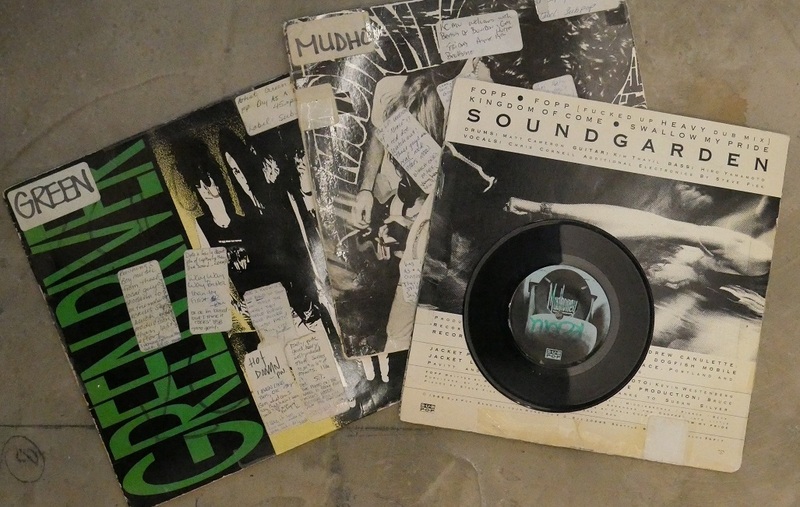 Mark Arm of Sub Pop bands Mudhoney and Green River, and Soundgarden’s Kim Thayil had shows on KCMU, as did Charles Peterson, well-known for capturing iconic photographs of the nascent Seattle grunge scene on behalf of the label. According to an account on HistoryLink, Poneman and Pavitt were first introduced to Nirvana as KCMU DJs, through a demo tape they received from producer Jack Endino. The tape was enough to get the band its first-ever radio airplay for demo versions of ‘Floyd the Barber’ and ‘Paper Cuts,’ songs which would show up over a year later on Bleach. After Sub Pop released Nirvana’s first official single, ‘Love Buzz’, in 1988, Kurt Cobain personally gave a copy to KCMU, and then sat in his car with the radio tuned to the station. When the DJ didn’t put the record on immediately, Cobain found a pay phone and called the station to request it himself. To this day, a strong connection remains. In 2013, KEXP helped celebrate Sub Pop’s 25th Anniversary with a live broadcast of Sub Pop artists performing on top of the Space Needle. The Sub Pop Count-Up will begin on the first full weekday of KEXP’s 2018 Spring Fundraising Drive, on Monday March 12th. Throughout the following months, KEXP DJs will honor each Sub Pop catalog item in chronological order, including full albums, singles, EPs, compilations, early Sub Pop fan zines, and even a wedding soundtrack. KEXP.ORG will also feature online-exclusive content, interviews and more throughout the four-month tribute. There are a number of amazing releases featured throughout the Sub Pop catalog, but there's no question that our favorite catalog number so far is SP0217, Iris Parker-Pavitt, daughter of label founder Bruce Pavitt. KEXP chats with her and her dad in this exclusive interview. Photos: Live from the Sub Pop Silver Jubilee! Friday on My Mind: Sub Pop Turns 25!